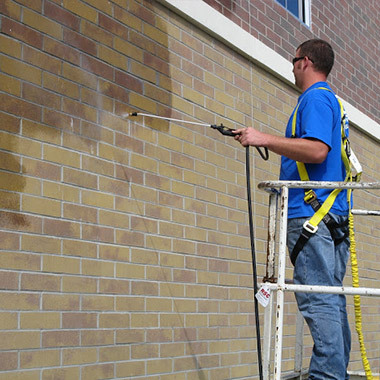 AmorMasonry Sealer is a commercial grade, water-based emulsion of siloxane that penetrates into concrete or masonry to provide long term weatherproofing protection. Product is ready to use; the invisible film that forms will “bead” water and protect the substrate many times longer than conventional coatings. Provides protection against de-icing salts and chloride ions and will not change traction or skid resistance of a surface.